So we just finished the little Q&A with Steven Spielberg and Joseph Gordon-Levitt through Google+ where they answered people’s questions about the upcoming film. And they also debuted the full trailer for the film, which looks AMAZING. It will win Oscars. The trailer is below and comes out November 9th, which is my birthday. Steven Spielberg directs Daniel Day-Lewis in “Lincoln,” a revealing drama that focuses on the 16th President’s tumultuous final months in office. In a nation divided by war and the strong winds of change, Lincoln pursues a course of action designed to end the war, unite the country and abolish slavery. With the moral courage and fierce determination to succeed, his choices during this critical moment will change the fate of generations to come. Steven Spielberg and Joseph Gordon Levitt Are Talking Live Now about Spielberg’s ‘Lincoln’!!! 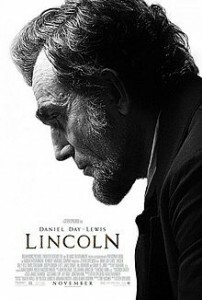 Feast Your Eyes on a Teaser For ‘Lincoln’!!! This entry was posted on Thursday, September 13th, 2012 at 6:33 pm	and is filed under Film, News. You can follow any responses to this entry through the RSS 2.0 feed. You can skip to the end and leave a response. Pinging is currently not allowed. « Steven Spielberg and Joseph Gordon Levitt Are Talking Live Now about Spielberg’s ‘Lincoln’!!! Reach for the sky, Baldy!